Trekking to Everest Base Camp had always been one of my life time dreams. Running a full marathon is another. Last year, I fulfilled one of them. 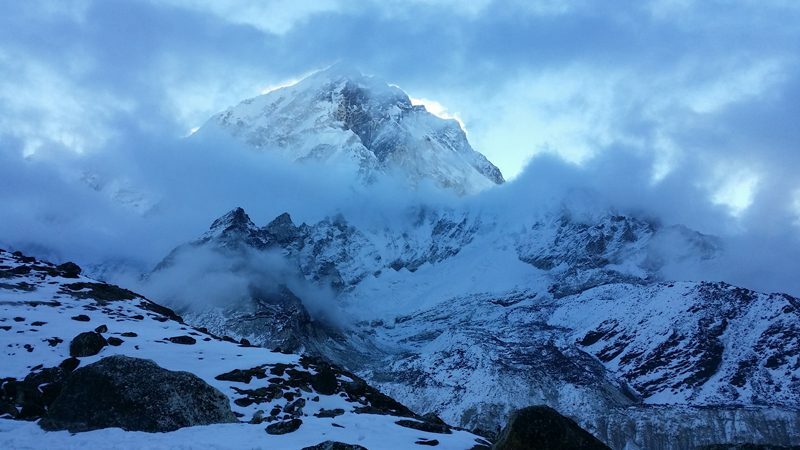 When I reached Everest Base Camp and it was so incredibly cold and it was snowing and we were all exhausted and everything was so unreal, I somehow knew I would have to come back. So why not combine two of my goals and make one monster-life-challenge out of it? 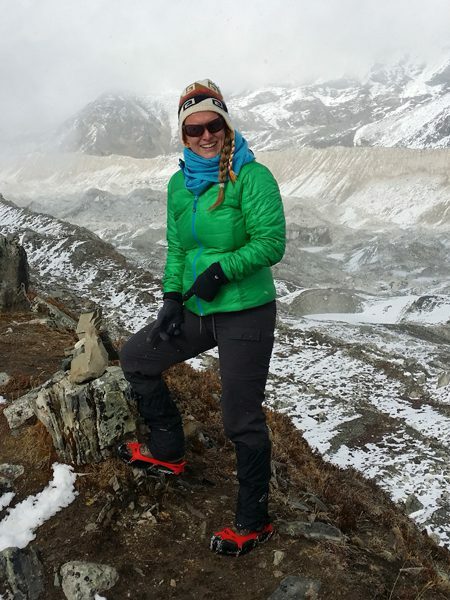 Running a marathon at Everest Base Camp. When the quake happened only two days after I left the country in 2015, it not only moved the earth in Nepal, but the hearts of so many people around the world, including myself. Shortly after I returned to Melbourne I took part in one of Melbourne’s many fun-runs in the nearby Dandenong Mountains. 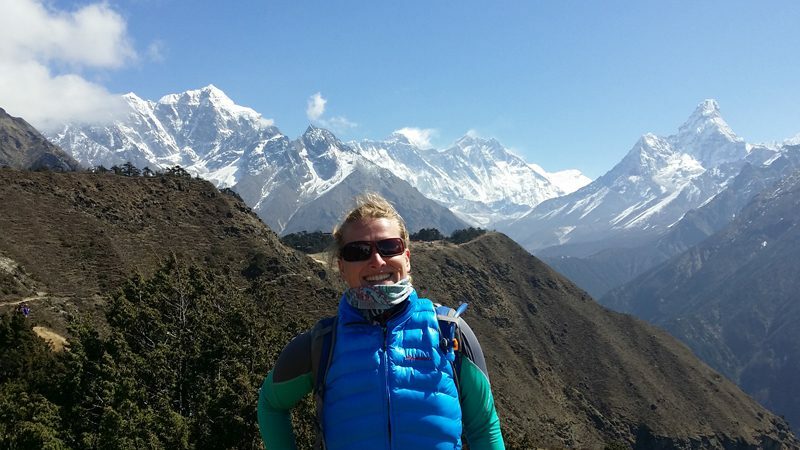 While I was struggling up some nasty hills I was asking myself – should I go for one of the greatest challenges in my life and sign up for this marathon in 12 months’ time, the one we had been speaking about so much during our trek? The answer was yes. I had it in my mind to raise some money for every kilometre I would complete without walking and thought that was the least I could do for the amazing people I met in Nepal and the hardship they and their families had to endure now. They lost their houses, a lot of them would lose their jobs if tourists did not return to Nepal in the next season. This made me push through and continue running. And made me set up for a year where I have dedicated a lot of my energy to this amazing country and people, both physically and mentally. I was able to raise about $400 on that day from friends and family all over the world. I may not be trained in disaster relief, but I thought there must be more I can do to help the people I met. Even from comfortable Melbourne, where one of our biggest problems is finding the best coffee in town. So I started little fundraisers at work; a bake sale with gold coin donations, a Dahl Bhat lunch, Christmas in July with yummy German sausages and mulled wine, Cheesecake baking competitions, a raffle, Margarita Fridays…me and a little crew of helpers came up with relatively easy ways to run one event each month, create some fun in the office and collect some coin while doing it. Because there were so many kind people who wanted to help, we managed to raise over $2000, which we donated to the Intrepid Foundation Namaste Nepal Appeal. I stayed in contact with my Nepal ground crew as well. I hoped that by knowing there were people outside the country who cared about them, it would offer them a little comfort and hope for the future. I will meet some of them again in a few weeks. They’ll be part of my next adventure: we’ll head to Basecamp together, where they will drop me, two days before the marathon, before returning to Namche Bazaar to wait for me to cross the finish line on the 29th of May. Attempting my first full length marathon of 42.195km starting from Everest Base Camp will easily be the greatest challenge I have ever faced. Why am I doing this exactly? This is something I ask myself over and over again. To give you a better idea of the statistics, the run starts at Everest Base Camp at 5364m and finishes at Namche Bazaar at 3446m. Normally, there are something between 50 and 150 participants each year. Nepalis usually take the lead, with some of them finishing in an incredible four hours! I have been told you should take your normal marathon time and double that to work out your Everest running time, but as this is my first ever full marathon the calculation means nothing to me. The run is basically downhill, a 4579m descent, which also means that there are some nasty climbs to overcome. Two steep hills and an ascent of 2777m are all part of the game (the longest ascent being 523m). The marathon website also advises that ‘there may be snow and ice on the upper part and considerable exposure along much of the marathon route. Experience of rough terrain is essential.’ Now I may call myself a bit of an adventurer, but how on earth could I possibly prepare for that??? I have a secret mentor, my colleague and Legend Griff, who has completed this marathon a few years ago and is my main go-to person for training and advice, and he reassures me that I will be fine. I will be fine. I will be fine (it helps if I repeat this to myself). My incredible PT Jack teaches me how to keep going when I cannot go a step further. I go hiking with my ‘Monsterhike’ friends, camp and hike with a heavy backpack, walk for up to 7 hours a day as much as possible. My friend Joseph has decided I am not as mad as others think, and signed up as well. So we can constantly bug each other and compare gels or running times. And of course I run. One thing that follows me on every step of this journey is the never-ending exercise of doubting myself. Am I training enough? Will I be prepared? Am I strong enough to keep going for hours and hours? And what about the altitude? And let’s face it – I do love exercise, and am certainly always up for a good challenge. But I certainly ain’t no super hero (or actual athlete as a matter of fact)! I love drinking pints after a long day at work (with emphasis on the plural), would never say no to a glass of wine (or two), and am usually not the first to call it a night. Committing to a time-consuming training regime, that ultimately is quite costly as well, may be more challenging than the run itself. So why am I doing this? I often read those inspiring articles of amazing people who walk around the world, build a boat to cross the Panama canal, or ride a horse across Mongolia. And I think to myself – how are they doing this? How can they achieve such incredible milestones in their lives? If I really will finish this race, I know that I have the power to do anything, whatever I want to achieve, I just have to work hard for it and want it enough and then I will be able to do it. Everyone has to find their own path in life, and it always starts by putting one foot in front of the other. It is not often easy, and sometimes the best choices in life take you out of your comfort zone, which is why a lot of people avoid them. I don’t want to be one of those people. I always want to continue challenging myself, finding ways to test my limits to see how much further I can go and what I can do to find happiness in my life. I am very grateful that I can be able to think and act that way; that I live in a society where I have the freedom to choose doing what inspires me, and nothing would make me prouder than being able to pass some of this empowerment on to others. We all know that education is the key in so many ways, and this is where I am calling out for some support during my epic endeavor. 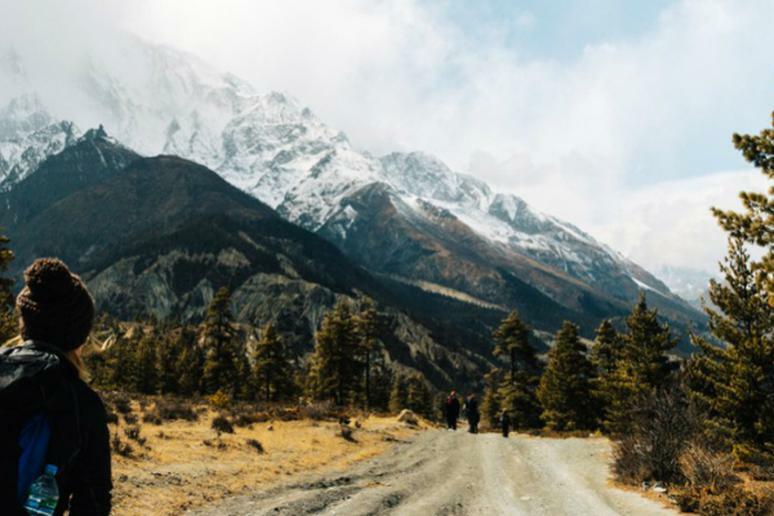 The Australian Himalayan Foundation follows in the footsteps of Sir Edmund Hillary and is a not-for-profit dedicated to supporting and overseeing education, health and environment projects in Nepal, and also in India and Bhutan. 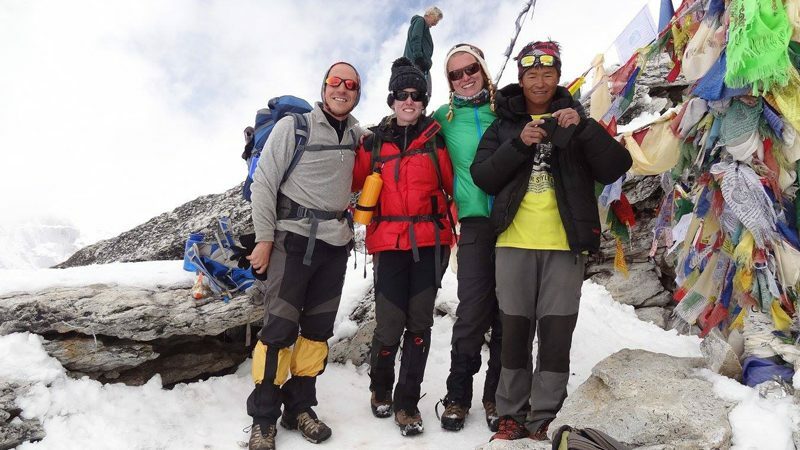 They support education in the Khumbu region, which the Everest region is part of. The Himalayan Foundation and aims to help over 42,000 children and 1700 teachers in over 300 schools in this area, supplying school scholarships for children in the greatest need of educational support: usually families living away from the major tourist trails that cannot afford to send their children to school. I have set up a fundraising page where you can support my run and the people who will benefit from this project here. So as you can see, it’s not actually only about the run. It is about returning to Nepal, a place I could forever go back to. A country and its people that have captured my heart. A place where you can completely switch off, reconnect with nature and yourself. Where no cars can ever go and nothing moves faster than at walking pace. Where you learn that everyone has the power to reach their life goals. What better place could there be to fulfil that next dream of mine?